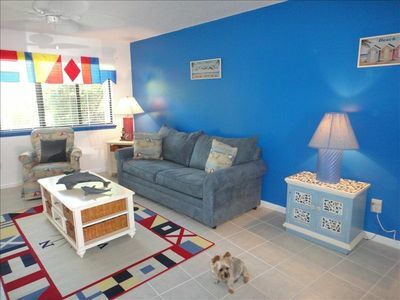 Features: Free Wi-Fi / Fully-equipped kitchen / Jacuzzi Tub. 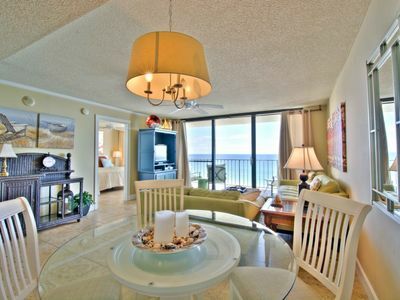 Seaview Villas A201 is professionally managed by ResortQuest by Wyndham Vacation Rentals. 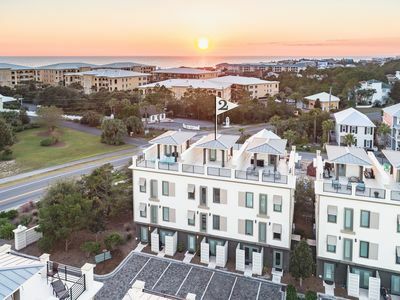 Seaview Villas A201 is a stunning second-floor condo located in the heart of Seagrove Beach along Scenic Highway 30A in South Walton. 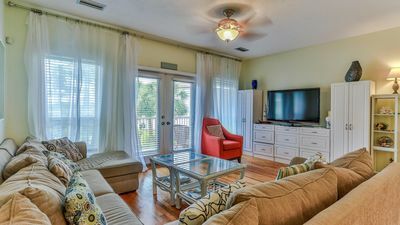 This three-bedroom, three-bathroom condo accommodates up to eight guests comfortably. 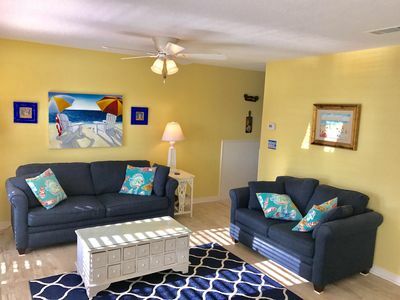 With a king-sized bed in the master bedroom; a queen-sized bed and a twin daybed with a pull-out twin trundle in the second bedroom; a queen-sized bed in the third bedroom, Seaview Villas A201 offers a cottage feeling in an intimate resort setting. 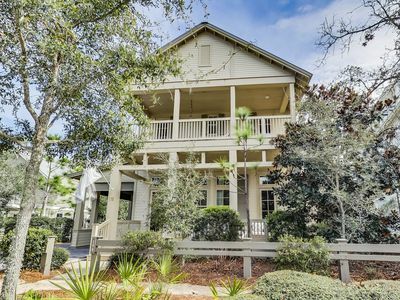 It's perfect for your next beach vacation to South Walton. 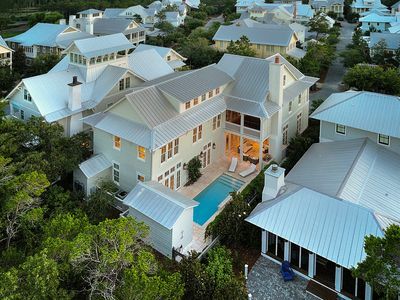 Take a family beach vacation, enjoy a spontaneous trip with your closest friends or simply experience a weekend getaway retreat to the most famed beaches of the Gulf coast. 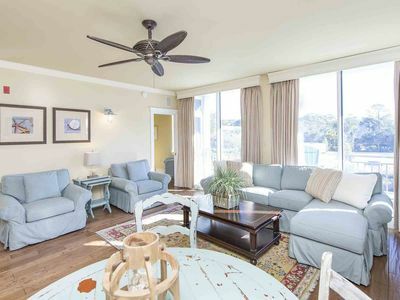 Step into this breathtaking condo and you will immediately fall in love with the updated coastal-casual décor featuring gorgeous shades of blue and gray. Upon entering, you will find one guest bedroom with a queen-sized bed on your right with its own private entry to the guest bath, as well as a full-sized washer and dryer combination for added convenience. To the left of the entrance is the additional guest bedroom with a queen-sized bed. This guest bedroom leads into its own private bathroom. Further down the hall, you will find the master bedroom featuring a king-sized bed and leading into its own en-suite bathroom. Experience ultimate relaxation when you step into the master bedroom, which boasts a double vanity, a walk-in shower, and a large Jacuzzi tub. Enjoy the added convenience of a washer and dryer combination, allowing you and your loved ones to pack light and leave plenty of room for souvenirs. The hall opens up into the kitchen, dining area, and living room, allowing for plenty of room to spread out. The fully-equipped kitchen features stunning granite as well as an island breakfast bar for added space and convenience. Create your own meals while on vacation, as you will have all the utensils and cookware needed. You will feel immediately at home when you step into the inviting living area, boasting incredible décor and matching furnishings, along with a large flat-screen television above a gorgeous electric fireplace. 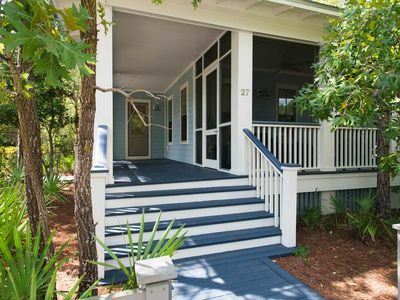 Step through the elegant French doors that lead directly out onto the furnished, open balcony. 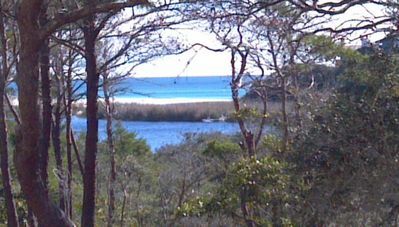 Enjoy your morning coffee while watching the sunrise or simply take in the lovely community views. 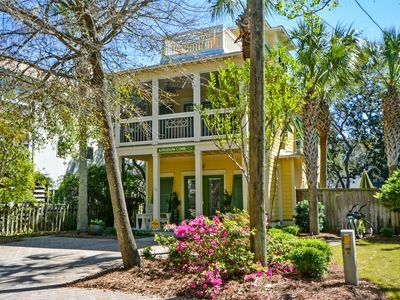 Seaview Villas is a gated community offering a variety of amenities to create the picture-perfect vacation. Make a splash in the large, outdoor community pool or simply soak up the sun on the sun deck. There are also two on-site grills, perfect for a family barbecue. 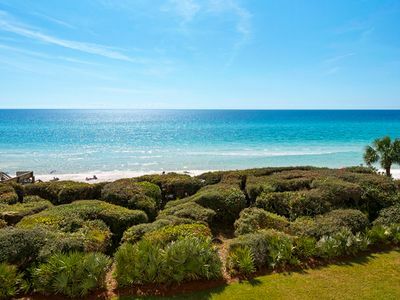 Walk down to the private gated beach access to dip your toes in the most famed sugar white sands of the Gulf coast. 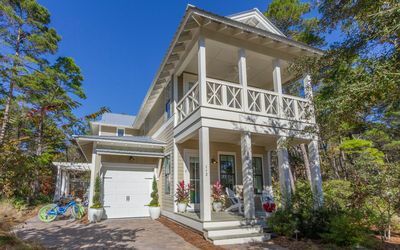 Seagrove Beach is located on the gorgeous Scenic Highway 30A, near a variety of eclectic local dining and shopping opportunities and many family-friendly adventures. 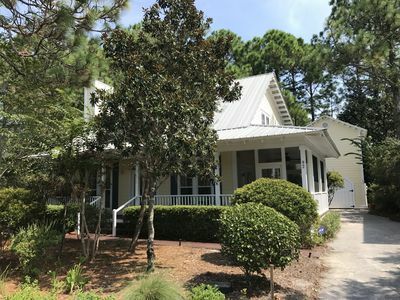 Just down the road, you will find the lovely community of Seaside, offering boutique shops, unique food trucks, and locally-owned restaurants. 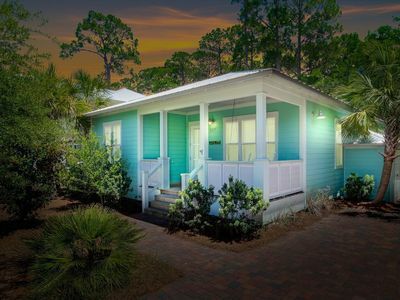 Scenic Highway 30A provides a true beach town vibe and Seaview Villas is in the hub of all the adventures, allowing for plenty of fun-filled days with your loved ones. 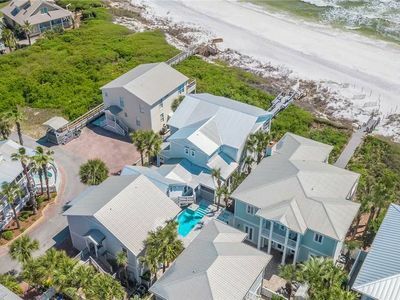 Venture over to Grayton Beach and experience the live music and delicious food at The Red Bar or simply drive down 30A, visiting other beach communities, including Santa Rosa Beach, WaterColor, Alys Beach and Rosemary Beach. Updated Gulf Front Unit! 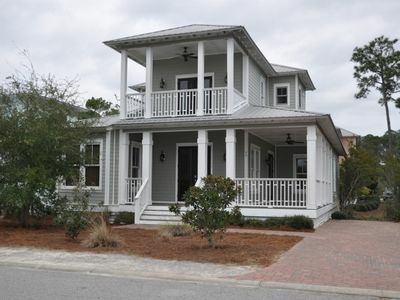 705 One Seagrove Place! Heated Pool! Large Balcony with amazing views!! 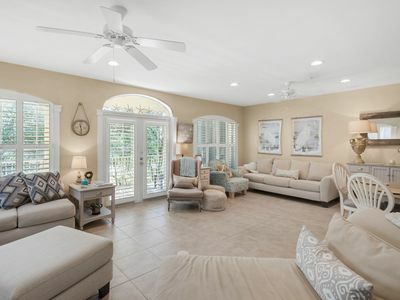 Kingdom Come 3 Story Gulf View & Heated Pool Steps to Seaside! 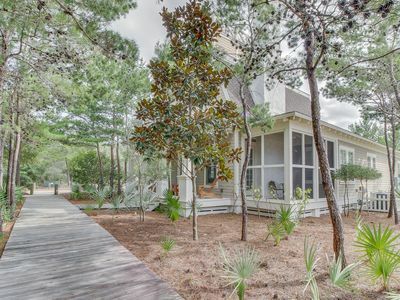 Seagrove Beach Cottage- The perfect beach getaway! Executive Access Home! 2 Living Areas. Outdoor Grill. Carriage House! 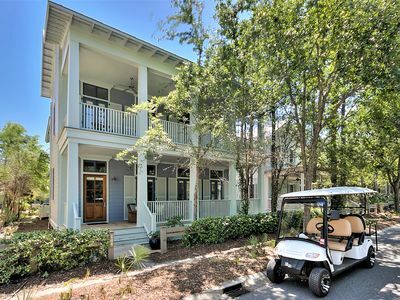 Eastern Lake Home, Forest Views with 6 seater golf cart and 4 bikes! 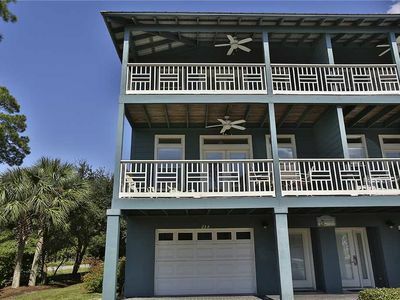 54 On The Shore - Gulf Front, Private Pool, Free Beach Service, Game Room, Wifi!